Car Dealer Pro is highly customizable, open source and user friendly car dealer script that allows you to manage your vehicle inventories. 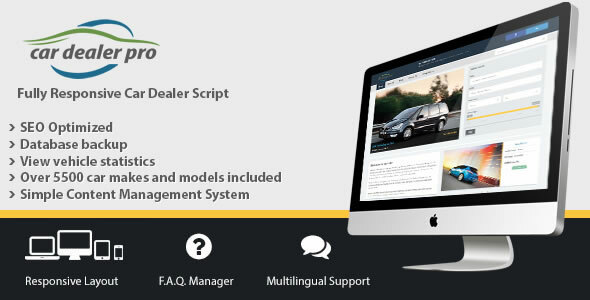 Car Dealer Pro is an absolute must for car dealerships or car classified websites. It provides auto dealers and site owners with an Admin Panel that gives you full control over the content and car listings. Car Dealer Pro is user friendly, fully functional and easy to use.